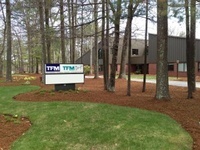 Since 1968, the team at TFMoran has been leading northern New England with innovative land planning and development initiatives. With over two centuries of combined experience across a broad range of disciplines, the professionals at TFMoran offer unparalleled knowledge and expertise. Our professionals include licensed surveyors, engineers, landscape architects, wetland scientists, LEED professionals, along with Certified Professional Erosion and Sediment Control (CPESC) and Certified Erosion, Sediment and Storm Water Inspector (CESSWI) specialists. And while our team is extraordinary, TFMoran is also proud of our state-of-the-art equipment and continual use of emerging technology. Our people and our technology ensure TFMoran delivers the most cost-effective and comprehensive solutions to our clients. As an innovative team, TFMoran is a leader in green technology and claims many of the region?s ?firsts? including the first commercial use of porous pavement, the first green roof, the first commercial use of bio-retention, the first commercial use of grass-pavers and xeriscape plantings, as well as many other ?first? low-impact development strategies. We build lasting relationships with our clients ? and that?s important to us. We constantly stay focused on providing excellent client service.